In 2015 I joined Twitter with the aim of having a specific account dedicated to my professional development. I remember some of the first teachers I followed were Ross Morrison McGill, Amjad Ali and Mark Anderson. They were all tweeting about #TMLondon. I had no idea what they were on about?! I did some quick research to find out that #TMLondon was a free CPD event for teachers with a line up of experienced and diverse speakers. Fortunately, it was during my Easter break in Wales so I was able to attend. TMLondon 2015 was such a revelation for me and really did inspire me. The presenters including Mary Myatt, Stephen Lockyer and Jill Berry were all very interesting, engaging and shared something different yet relevant. I learnt so much and felt surrounded by people totally committed and dedicated to teaching. After TMLondon, I attended TMLiverpool and presented for the first time for six minutes. 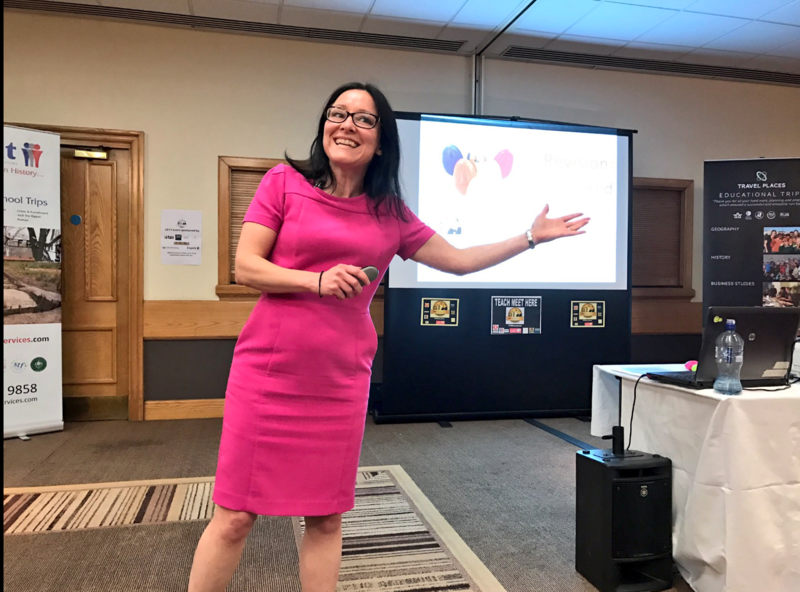 I then went onto attend TeachMeet events in Chester, Manchester, Reading…amongst others! Therefore, I had developed a very good understanding of the TeachMeet format. I had also made several connections at these various events who I have stayed in touch with. It was at TMLondon I met Penny Rabiger and told her I had travelled from North Wales, as events like this didn’t happen in my area. Penny encouraged me to host my own TeachMeet to which I laughed…but a few months later I did begin planning and organising #TMNWales on my own. #TMNWales was fully supported by my Head teacher (at the time) Rosemary Jones and it took place at the school I was teaching. It was a great event for the area and well attended. 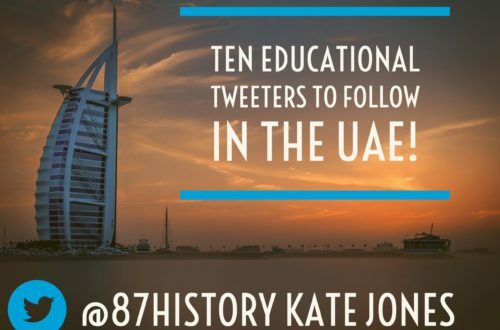 Shortly after this event I was contacted by Tom Rogers, whom I had met at a TeachMeet in Manchester, asking if I would be part of a team organising, planning and hosting a History specific TeachMeet called #TMHistoryIcons. I was involved in TMHistoryIcons 2016 and then again very recently in 2017. 1. Don’t do it alone! Organising and hosting a TeachMeet is hard work, on top of our day job too! It is better to lead and delegate as there are different elements to consider such as sponsors, promotion, presenters, refreshments etc. I did do it on my own and know many other teachers that have too. It is very rewarding but difficult so ask colleagues/volunteers and share the work load as much as possible! 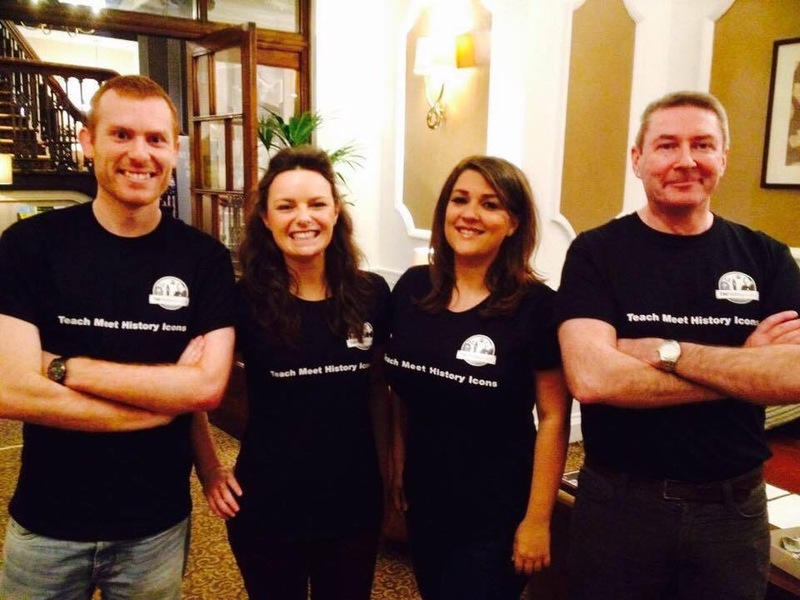 Tom, Leanne, myself and Sean – the TMHistoryIcons team in 2015! This can be tricky…it is likely you will need money from sponsors either for the venue (although if you can host it at your school then that will save a considerable amount of money!) refreshments and if you wish to have prizes, which many TeachMeet events do. I attended a TeachMeet event that took place at the National Football Museum in Manchester. This was an amazing venue which offered a free bar and meal for all those that attended – lovely! However, the presentations were dominated by sponsors and not teachers so I didn’t gain as much from the event as I had hoped. I understand that if sponsors donate money/prizes then they expect time to talk to teachers but often they are selling products that need to be targeted at SLT/Headteachers and although classroom teachers can feedback to SLT about such products we often do not have the power or budget to buy these products and it is not the reason teachers attend TeachMeets. Kevin Hicks from Squaducation – talking about 60 second History video clips for learning. However, when we planned TMHistoryIcons we discussed sponsorship very carefully. TMHistoryIcons took place on a weekend in a hotel in Chester (both years) so this event would not have been possible without sponsors. We wanted sponsors that were relevant to History teachers and our sponsors were great! Some sponsors presented but their presentations were useful, interesting, informative and relevant to History teachers so we felt that we had struck the right balance when it came to sponsors. In regards to prizes, local companies often donate prizes or if you contact Bloomsbury, Crown House or John Catt Education they can sometimes donate educational books which are great prizes for teachers! 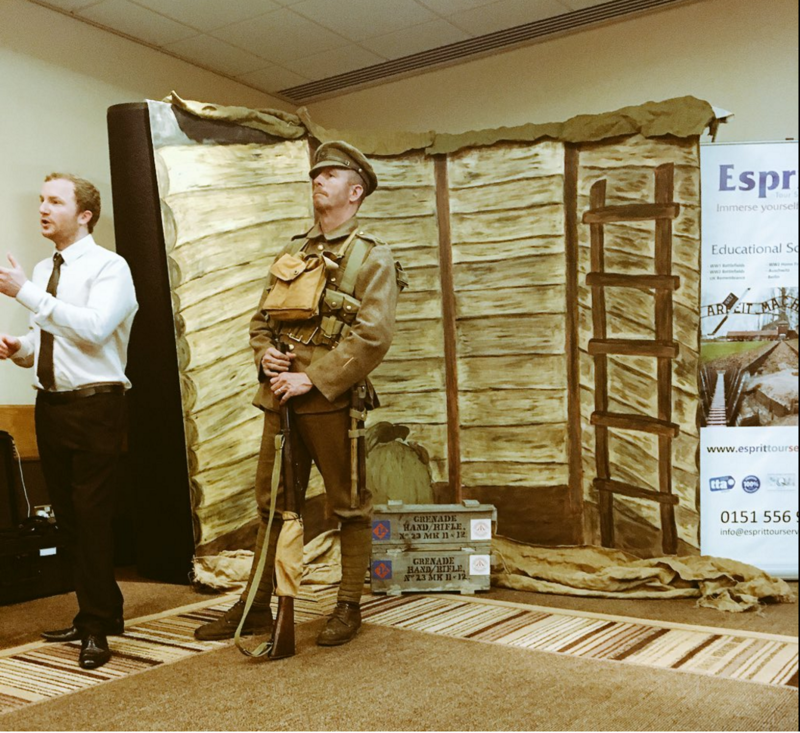 Nick and Private Parsons from Esprit – providing trips, workshops and bringing VR into the History classroom. So once you have your team and sponsors then you will need to promote the event to encourage people to attend. Pick a date that doesn’t clash with your school calendar e.g. Year 7 parents evening and a Friday night can put some teachers off as that is the start of their weekend- although I have hosted two TeachMeet events on a Saturday! Make sure the event doesn’t run too late, especially on a school night! Then start at the school you work at encouraging as many colleagues as you can to attend, although no pressure as a TeachMeet is not compulsory CPD. Email any contacts or other schools in the local area – this is great for schools within the same area to collaborate and network. Finally, promote the event online. 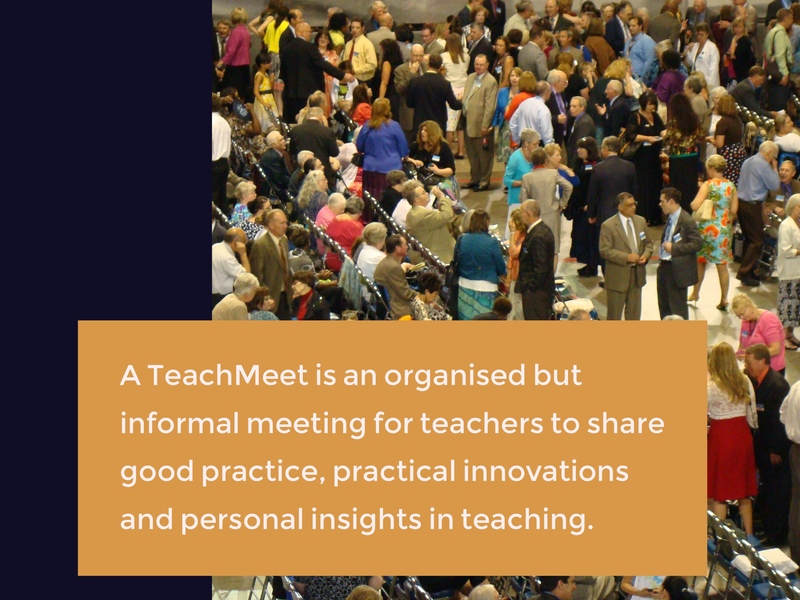 You can add your TeachMeet event to this website here which is regularly updated with different TeachMeet events taking place across the UK. Alternatively, you could use Eventbrite or your own website, but again consider workload and pick the easiest option! Use social media too but don’t rely on it as your only form of promotion. Set up a Twitter account, hashtag and/or Facebook page to spread the word online! This is very important! The amount of presenters and how long each presenter will have to present will depend on the timing of your event. Set a limit for how many presenters can speak then once all slots have gone that’s it! 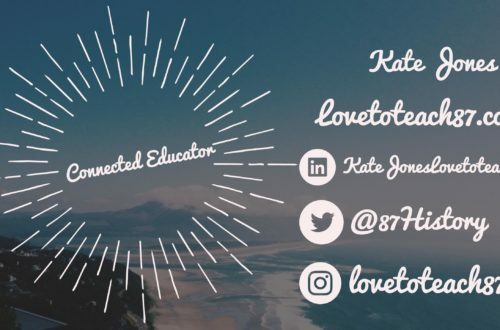 I have been to a TeachMeet where everyone who signed up to present were able to – which is great in a sense- but the event went on for hours, lost momentum and people were leaving before the end. Also, aim for a broad range of presenters. At #TMNWales we had presentations that varied from Primary to Secondary with cross curricular to subject specific presentations. 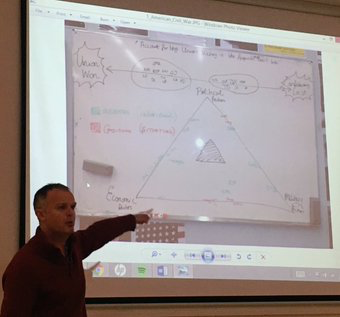 Obviously at TMHistoryIcons all presentations were by History teachers but we had NQT’s presenting, presentations from experienced teachers and leaders, a PGCE History mentor and people from across the UK and even from across the world! It is difficult to assess the quality of presentations before the event but it’s important to be inclusive. Inclusive can also ensuring a gender balance of presenters, #BAMEed refers to Black, Asian and Minority Ethnic educators plus Lynn McCann also highlighted on Twitter it is very important to ensure that there are presenters discussing SEN/SEND. Of course coverage of all fields is not likely but an attempt to will create a diverse line up. An idea is to ask people to submit their presentation prior to the event and the organisers select the presenters. However, the quality of a PowerPoint doesn’t always reflect the quality of the person/presenter themselves. Another idea if a lot of people wish to present is to insert all names into a random name picker on classtools.net and then at random presenters get selected. 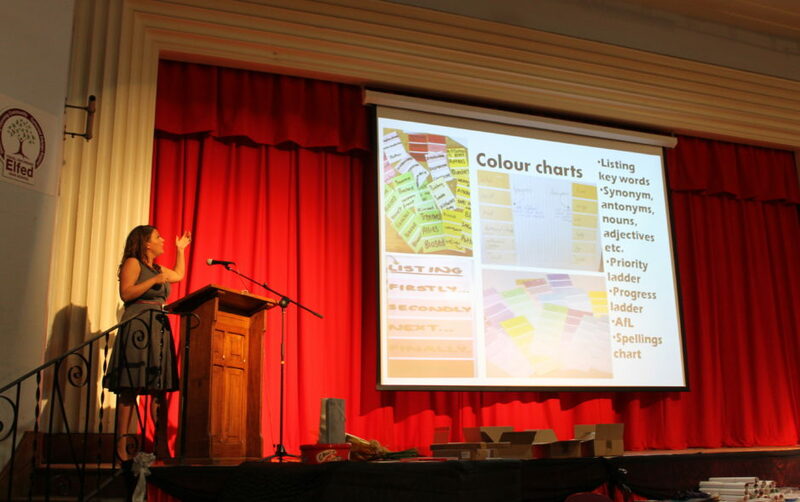 The name picker is used at a lot of TeachMeet events, but this can be very disappointing for those who have worked hard to prepare their presentation and do not get selected. It can be a risk with presenters because obviously for many people the presentations are the most important part of the event, not the free refreshments or prizes but instead teachers are hoping for quality CPD. Another idea is to invite somebody to be a Keynote speaker at your event. Invite someone who you have seen present or that you know is a very capable, confident and experienced presenter. 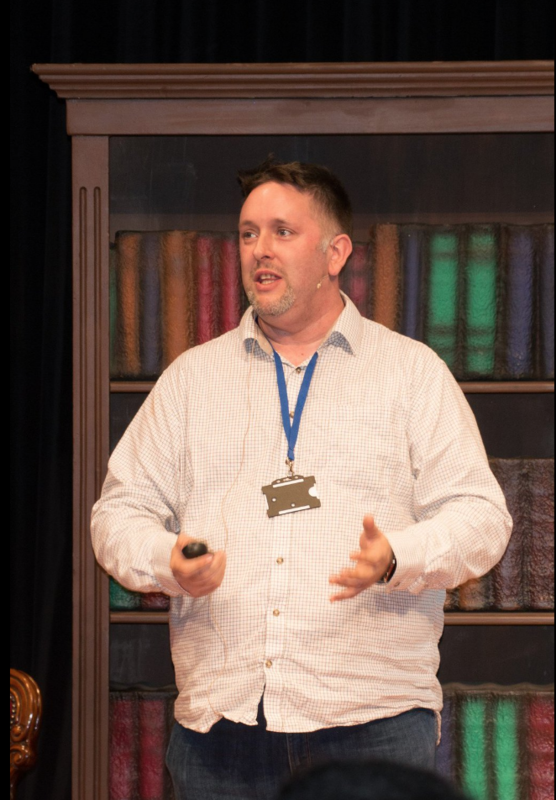 For #TMHistoryIcons we asked Russel Tarr – he has a wealth of subject knowledge, an experienced teacher and he is very widely respected in the History community. He did not disappoint! Your keynote can attract people to attend the event. 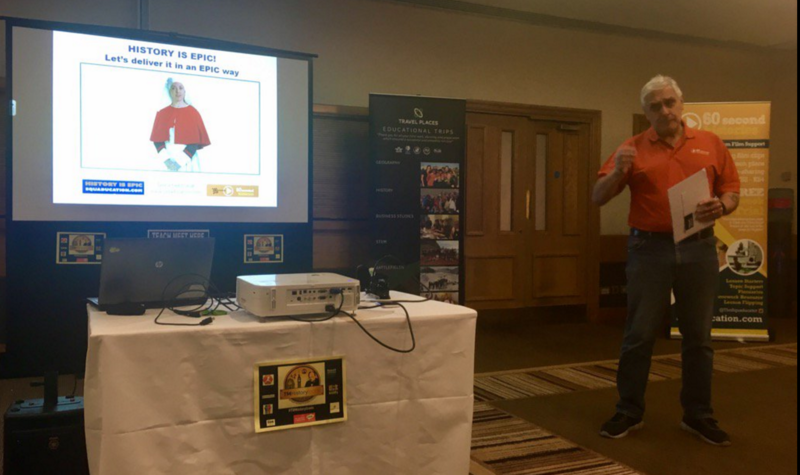 At the first #TMHistoryIcons Scott Allsop only had an 8 minute stint but he was very memorable so we knew he would make an excellent keynote speaker the following year – which he was! This is where you can be assured the keynote presentation will very good and useful to the teachers attending. 6. Be prepared for those that don’t turn up! After hosting three TeachMeets I realised not everyone will turn up. Firstly, a TeachMeet is a free event which is brilliant for teachers but there is no financial commitment. 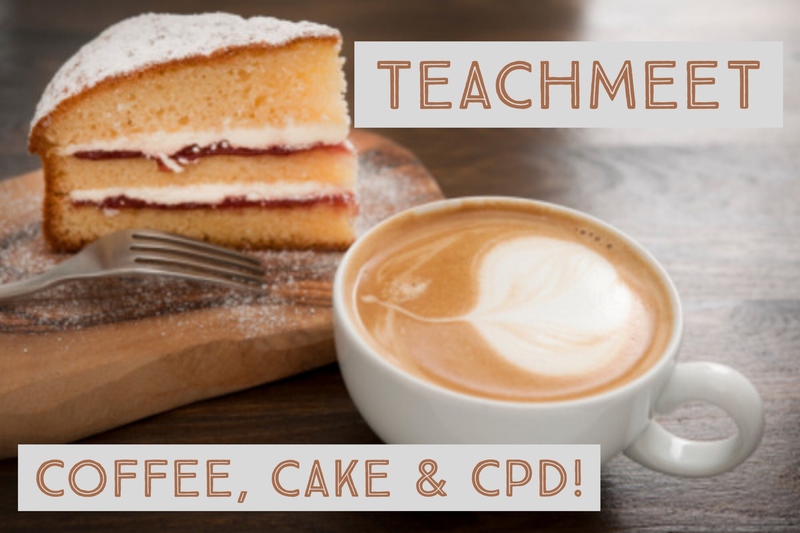 Also, a TeachMeet event takes place after school hours and people have other commitments – basically life gets in the way with appointments, children, workload etc there are lots of reasons! Plus some people sign up to the event thinking they may go but nearer the time decide they are too busy or just forget (linked to promotion …remember to send out a gentle and friendly reminder!). My friend Tom was bitterly disappointed that there were a significant amount of teachers that didn’t turn up to #TMHistoryIcons. We had 115 sign up and 80 people attend, which was still a good turn out but we had paid for 115 dinners using the sponsorship money, so again another risk. When I hosted #TMNWales I had a sleepless night the night before thinking no one would turn up! Again 80 people signed up and 60 attended. Don’t be disappointed or disheartened instead just be prepared! After the recent #TMHistoryIcons, Tom and I sat down and had a chat to reflect on the event. Literally, two hours after the event we chatted about what went well and what could go better next time. Overall we were really pleased and the feedback was very positive. However, timing was an issue and we made several mistakes in regards to timings. Firstly, in the morning not everyone who had signed up to attend had registered by 10 o’clock so we made the decision to wait ten more minutes for people to arrive. Wrong decision. There were plenty of people there who had made the effort to arrive on time and we made them wait. If people came late and missed the start then tough, that is a consequence of being late. Another result of our late start is that the whole day then ran behind the schedule we had planned and printed. Also presenters were going beyond the specific time they had been given, they were really good too so we struggled to say stop but we should have. It is important to have a timekeeper and most TeachMeet events play music or throw a cuddly toy on stage when the presenter has used up their allocated time. Timing is difficult but it is very important to stick to the agreed time. 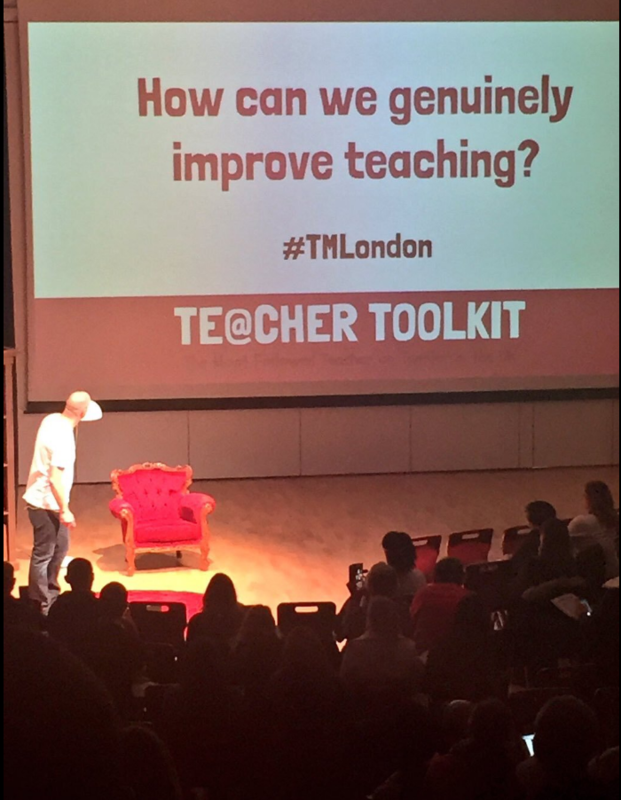 I attended TMLondon in 2016 and one presenter very early on went on for much longer than they should have despite the organisers best efforts to ask the presenter to finish, this then set the tone for the rest of the night with most presenters ignoring the time allocation. Stick to timings! People have given up their evening or weekend they shouldn’t have to stay longer than expected and it isn’t fair. As previously mentioned a #hashtag is great to promote the event but also the hashtag can be used during and after the event. During the event teachers can share online what they have found out and provide feedback using the hashtag. I have followed many TeachMeet events that I have been unable to attend (especially now I live abroad). An example of a TeachMeet I followed on Twitter was #TMDevon which was really interesting to follow from afar. On the day of our History TeachMeet I tried to speak to as many people as I could but I was very busy! When I had chance it was amazing to read the positive praise, comments and interaction by those using the hashtag. Also, after the event teachers continue to share and network using the hashtag. Get a short and simple hashtag for people to remember and tweet! Again another very, very important factor to consider the ICT/ technical support. At the recent TeachMeet I asked presenters to send their presentations in advance so I could check and avoid any technical errors! On the day we still had some technical errors but luckily we had an ICT expert/evangelist there to help! Problems I have previously encountered have included presentations not loading, slow internet, websites blocked on the network, poor audio, unreliable projector, batteries ran out on the clicker and so on! Invite your ICT expert to the event so support will be there if you need it (fingers crossed you won’t!). 10. Enjoy and have fun! I have thoroughly enjoyed every TeachMeet I have been to. There is always a warm, friendly and enthusiastic mood and atmosphere when teachers come together to collaborate and network. Prizes, freebies and refreshments do add to the enjoyment of the event and are very much appreciated by teachers attending but those things aren’t priority. People haven’t signed up for an additional department meeting either so make it fun and informal. To create a relaxed atmosphere I suggest playing music, tasty refreshments and time dedicated to networking. Enjoy, have fun, share, learn and network! Thanks for taking the time to read my post. If you have any additional advice or want share your experience of hosting a TeachMeet then please get in touch! You can get in touch via the contact page on my blog or you can message me on Twitter. 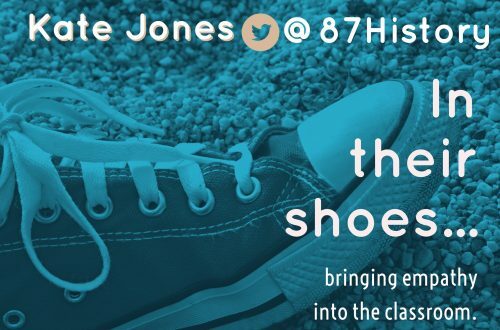 In their shoes…bringing empathy to the classroom. This was very helpful as I plan to organise a teach meet for the very first time. Thank you very much. I am glad it was helpful thanks for the feedback!